Createspace Independent Publishing Platform, 9781499766349, 348pp. Surviving family horror is one thing. Having the courage and determination to reveal it is another. DJ Brava, romance novelist extraordinaire, has the courage. She has the determination. She has friends covering her back. But when unearthing one family secret leads to another and another... can she survive the fallout? 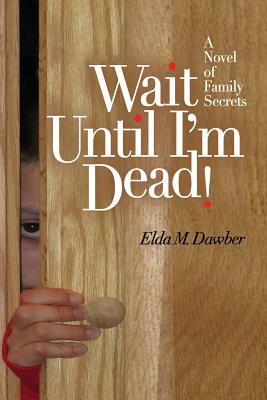 Some family members beg her to wait until they're dead. Has one of them gone too far in a misguided effort to protect someone -- or something? This is an engaging page-turner for anyone who loves a good family drama full of secrets and intrigue. It has the social consciousness of a Picoult, the wit and tongue of Evanovich, the resonance of Sue Miller, and the female bonding of "Thelma and Louise" -- without the drive off the cliff Structured as a memoir within a novel, readers move through the main character's history of childhood trauma and healing. But it is her actions in the present that propel the story through a series of compelling revelations affecting numerous characters in unforeseen ways. The dialogue is crisp and the humor rich. Emotional connections are profound, and the topic is one that touches the lives of millions.